The Darling had been slammed up against the shoreline prior to being turned seaward. 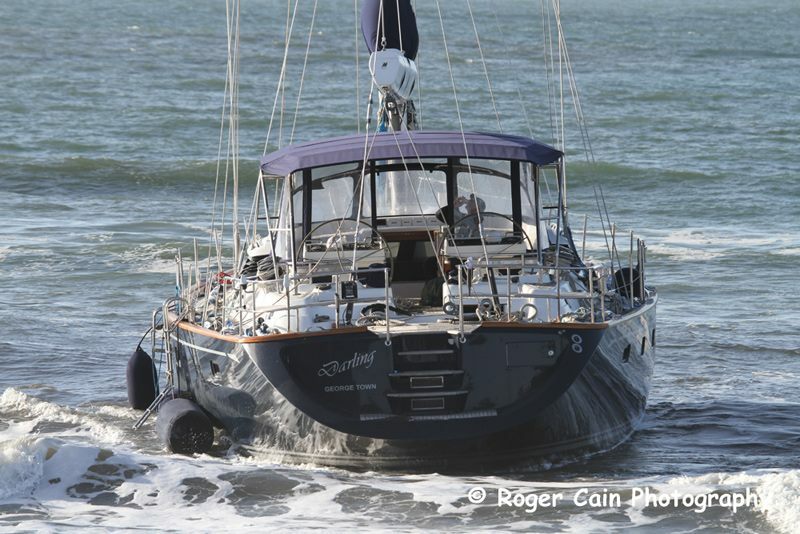 This boat, THE DARLING, was stolen today out of Sausalito Yacht Harbor by three ‘scoundrels’ and they ran it aground in Pacifica this morning before sunrise. All three were arrested and taken into police custody with charges of suspicion of grand theft and conspiracy. 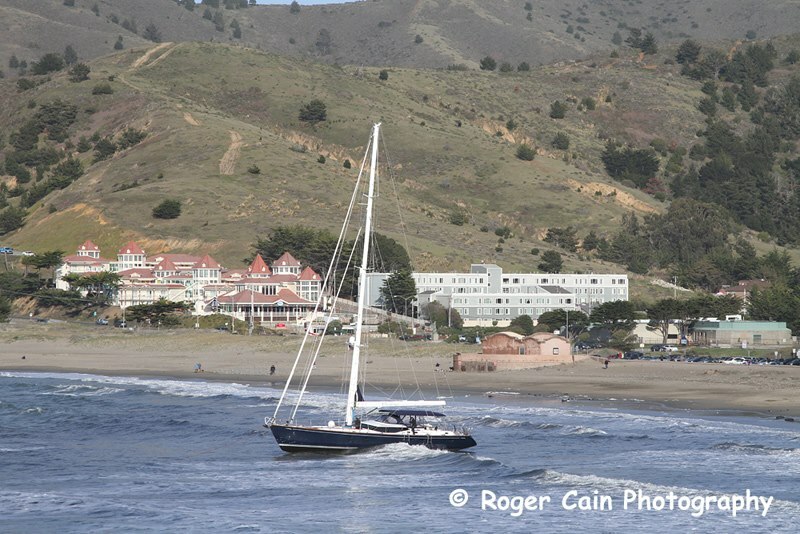 The trio included two residents of Aptos; Lisa Modawell age 55 and Dario Mira age 54. The third suspect, Leslie Gardner age 63 is from Gillette, Wy. 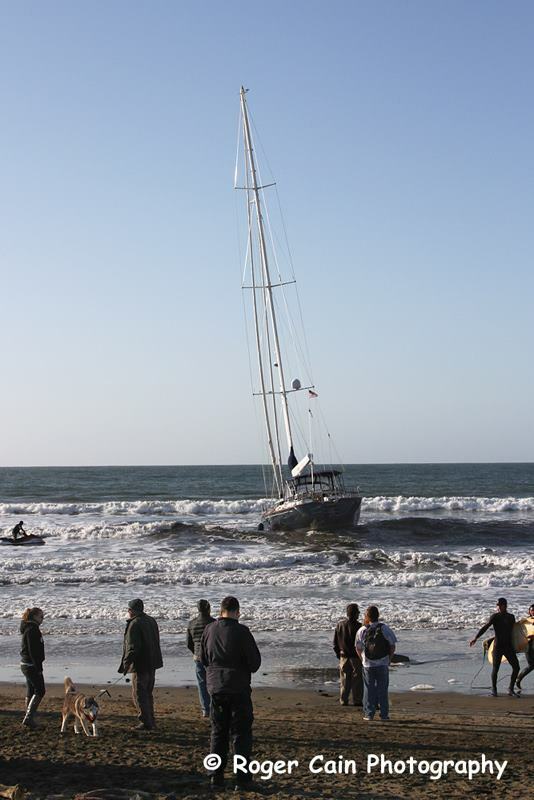 The grounded boat attracted large groups of spectators to the shores. The boat’s owner did show up but is not reported to have given any information.